I am fairly new in R and I am trying to create a new raster by using a spatial polygon layer. I have the code written by using the mask function and the output is essentially what I want, but I'm missing some areas of the raster I need (see image). I noticed that the areas missing from the resulted raster are polygons that are either an "island" or a polygon within a polygon. I've been searching the web and R documentation to see if there's a better function out there than mask() but I can't find anything. Is there a different function that would do the same exact thing as the mask function but also include those areas currently missing? Do I need to add something to my code so that the mask function includes all polygons? Browse other questions tagged raster r polygon masking or ask your own question. Rasterize (R package raster) fails to rasterize island polygons? 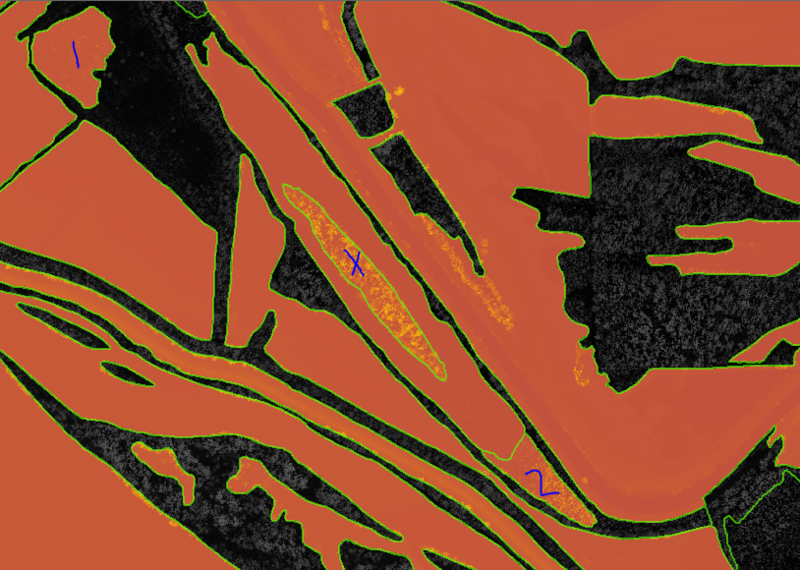 Altering elevation of specific cells in raster layer of QGIS? Performing Intersect of polygon with raster, retaining ID of polygons?